Unless you still have an antiquated bathroom suite from the 1970s in all its avocado glory, you are probably like most UK householders and playing safe with a traditional white suite, perhaps enhanced with some colorful walls and accessories. Among this year’s trends is a revival of colored sanitary ware. If you want to be on trend, take a look at what is going to be hot this year. Geo-patterned tiles for walls and flooring are rapidly gaining popularity. These should be teamed with black taps and minimalist artwork in similar colors. White shimmer tiles have a sophisticated glamour; the pattern can only be seen when the light catches them in a certain direction. Add white marble flooring, and you will be the envy of your neighbors. 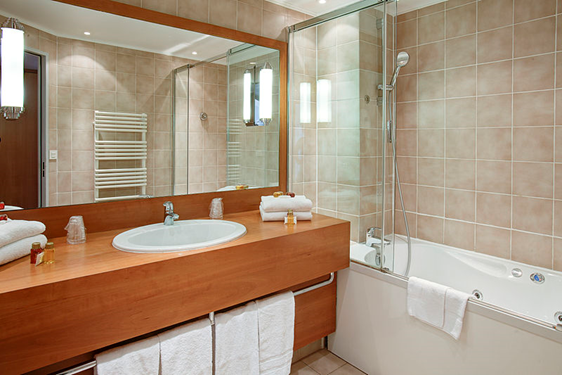 Wallpapering one or two walls if you have a larger bathroom is another idea you may not have thought of. This is cheaper than tiling and gives the possibility of introducing patterns and color. How about a sea-themed paper? You can seal the paper with varnish. For an interesting look back at the history of the bathroom and how it has evolved since Roman times, take a look at http://www.bbc.com/culture/story/20171204-how-the-design-of-the-modern-bathroom-evolved. Colored bathroom suites are back in fashion. The color of the moment is bold blue. This looks fabulous set against white tiles and flooring. Chrome, brass and gold taps add the finishing touch. The rustic look is fashionable right now. Wash basins set on top of furniture are also on trend. You can combine these two looks by seeking out wooden plinths and timber frames to house your wash basin. Crittall-style shower screens fuel our love of the industrial look in the home and are gaining in popularity. 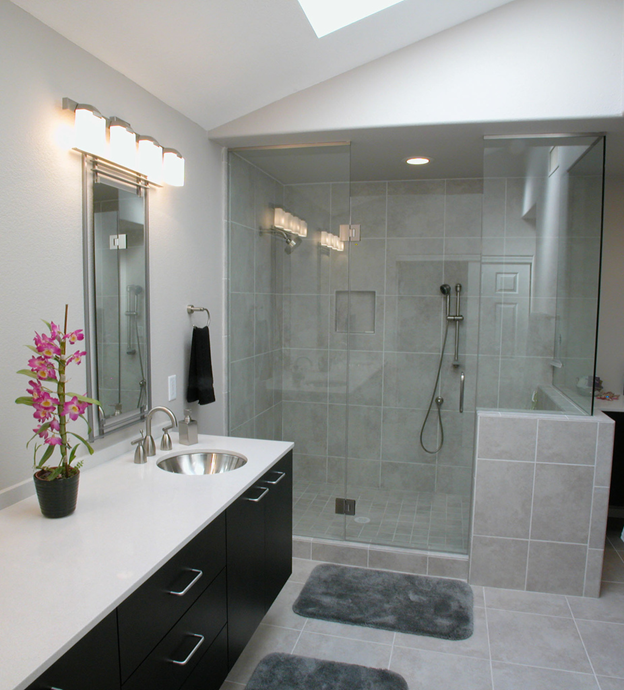 Go all out for a wet room rather than a shower cubicle or a fixed bath. This is also much easier to keep clean. If you have gold taps, don’t forget your other accessories. Bins, cupboards and bath feet should also be toned in with this glamorous look. Prints and photos can also be finished off with the glitzy look if you shop around for suitable frames.